To me this CD is the perfect way to introduce Hazel to children's music from another culture. Although I do not plan to teach her Mandarin, I think it is a great way for her to hear the language and to continue our exploration of China. To hear familiar songs in another language is a fun way to see that the world shares many things like music. All of the songs are upbeat and the kind of music we like to listen to. It also will not hurt for her to learn a bit of Mandarin in the process if that happens. 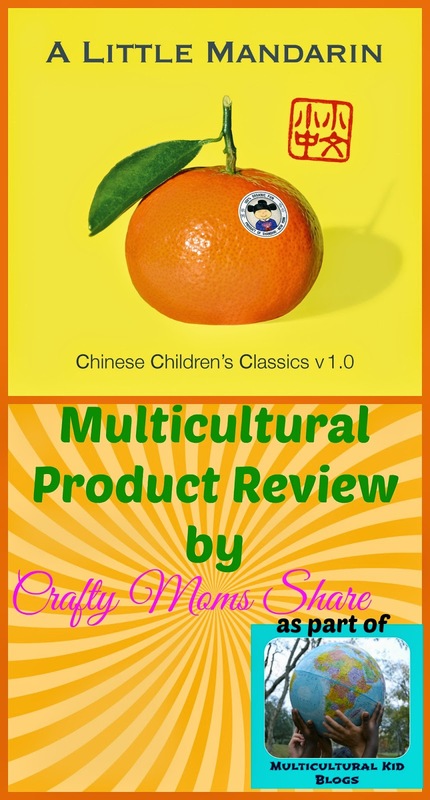 This would be the perfect holiday gift for a young child or family with a young child especially for a multicultural family or one like mine that likes to learn about other cultures. Ms. Wang decided to make this CD after searching for quality Chinese children's music to play for her children. Her household is a trilingual one: English, Mandarin, and French (her husband's native language). I know when we explore a country Hazel really enjoys listening to the music from a new area even when we cannot understand the words. We enjoy hearing the beats and tunes other countries have. I hope you will take a few minutes to check it out. I know Hazel will be excited to hear "Happy Birthday" and "Rock-a-bye Baby" on the CD as well as "Twinkle, Twinkle Little Star" and listen to the new songs in a new language. She will also be excited to hear the proper pronunciations of the words instead of my trying to sound them out for her in the books we have read. The CD can be purchased digitally at Amazon, iTunes and Google Play or you can get an actual CD at A Little Mandarin website.